Summary: Your bank may not be thinking M&A is in your near future. Yet it could be worthwhile to have a plan just in case. What to include in your planning. 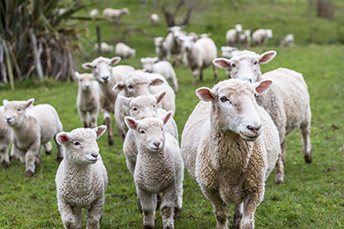 A collection of 2,500 scientific papers finds sheep can recognize their "sheep friends". Amazingly, this is true even after being apart for 2Ys. We guess we shouldn't be that surprised, since research also finds elephants cry when they are hurt and rats giggle when they are tickled. If you have a pet, you probably already know animals have feelings, but the scientific evidence is fascinating. Bankers may not recognize some M&A deals, because many just do not deliver on expectations. That being said, M&A is part of the industry, so our advice is to start with a good strategic plan. Even if your bank isn't looking to sell tomorrow or buy anyone either right now, it could happen someday. To be prepared, that's not a time to start from scratch, so you might want to at least sketch out a mergers and acquisitions strategy at some point. At least some of the banks that bought and sold in 2017 did so because something unexpected popped up. While M&A activity overall looks to be around historical levels and slightly above 2016, the machine keeps chugging along, so mapping things out occasionally can make sense. At a minimum, it will help you focus on competitive offerings and provide better insight into the market in your geographic area. The annual strategic planning session can be a good time to begin a thoughtful, vigorous discussion of the M&A strategy. After all, it addresses one of the long-term issues facing the business and it can help determine where you stand for the next 3Y to 5Ys as well. To begin this process, management should help map out a strategy, so the board can review it. To do this, the board needs an awareness of where the institution fits into the marketplace and who some likely targets or buyers might be. The process itself should revolve around thinking about how you will evaluate M&A opportunities that might come along. What sort of EBITDA multiple might get your attention, either to buy or to sell? Board members should understand how much the bank could afford to spend on an acquisition, both in actual purchase price and in the cost of successfully merging the two banks' technology, personnel, cultures, and business lines. Another key area is all about cultural fit. Talk about how your bank might dovetail with another. If you were to buy another bank, what products, markets, or clientele might help you build on what your bank currently does well, or fill holes in your bank's present-day business? Then think about their team and yours to be sure the pieces fit together. If not, walk away or face what could be an ugly integration. For those banks who are not interested in buying or selling right now, that is ok too and it puts you with the vast majority. Know that only 1% of banks are acquired each quarter (4% per year), so 99% are just doing the business and serving their communities. Culture, compliance, operational, third-party and a host of other risks are all factors in deciding for or against a potential deal. No matter what your bank's position is around M&A, it does make sense to talk about it from time to time. Doing so can help keep the team focused and provide good information around the competition, at the very least. It is important to keep the dialog open, as you remember that talking about M&A doesn't necessarily mean endorsing it. That way, if and when an opportunity comes along, you won't have to build a strategy from scratch. Not a baaaaad idea perhaps. S&P Global Market Intelligence reports there were 261 bank and thrift M&A deals in 2017. This compares with 241 in 2016, 279 in 2015 and 288 in 2014. The OCC fined Citibank $70mm related to BSA/AML. Of particular focus were deficiencies related to conducting due diligence on foreign correspondent bank customers and filing timely SARs. The New York State Department of Financial Services has fined Western Union $60mm related to BSA/AML. Of particular focus were deficiencies around filing SARs by locations in China and high volume offices in New York and failing to implement and maintain an effective AML program. A UBS survey of banking habits in 19 countries finds 52% of all banking transactions are now done digitally today, with 80% of consumers using mobile banking at least 1X in 2017. This new data may cause more banks to consider branch closures as 34% of consumers said they used branches last year vs. 48% 2Ys ago. Merrill Lynch has forbidden its clients and financial advisors from trading bitcoin-related products due to eligibility and suitability concerns. It joins JPMorgan Chase, Citigroup, RBC, and UBS' US brokerage arm in this move.